Alien Nuclear Blast On Earth??? Over a hundred years after the fact, this story is still making headlines and the mystery has never really been solved to the satisfaction of everyone. 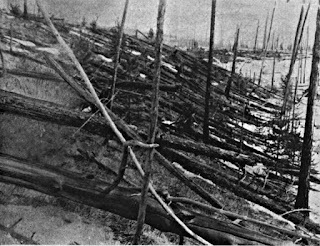 Early one morning, on June 30th, 1908, in the Tunguska River Valley, Siberia, Russia, there was an explosion with such force that it registered on seismic barometers thousands of miles away in England. Eyewitnesses claim to have seen a blue streak rush across the sky just before the impact that was felt by residents hundreds of miles from the site and was reported to have an astounding equivalence to 185 Hiroshima bombs. 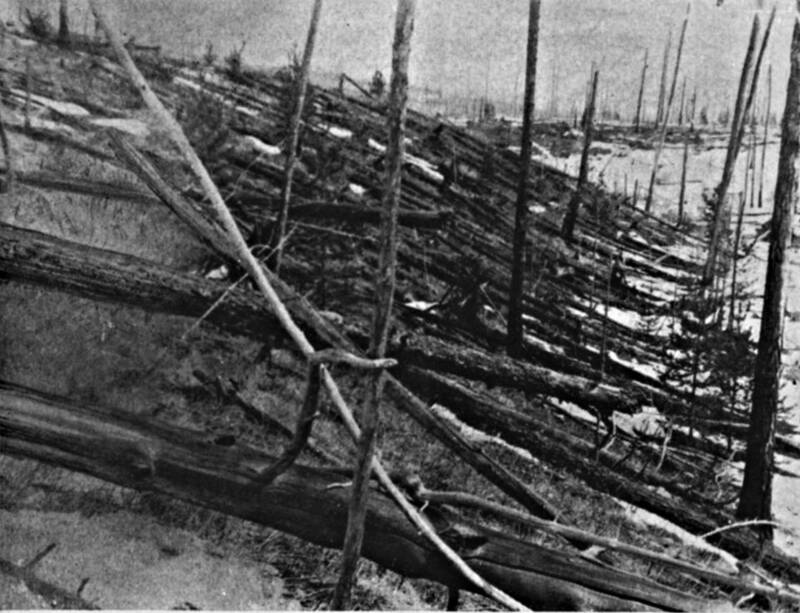 "Suddenly in the north sky… the sky was split in two, and high above the forest the whole northern part of the sky appeared covered with fire… At that moment there was a bang in the sky and a mighty crash… The crash was followed by a noise like stones falling from the sky, or of guns firing. The earth trembled." It was nearly twenty years later and after one failed attempt to investigate that scientists finally made it to the site. They arrived in the area expecting to find a huge crater and debris from a meteor or comet. 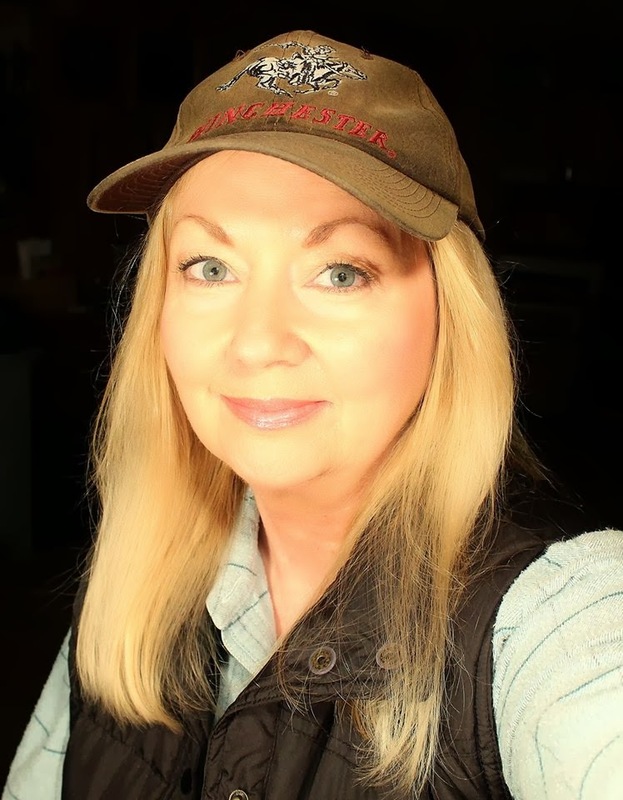 But what they found instead has stirred controversy with Ufologists ever since, after a theory developed after World War II that the details of the devastation and aftermath were nearly identical to that of nuclear blasts on Hiroshima. This gave root to the idea that the only thing that could have caused the blast all those years earlier was the crash of a nuclear -powered alien craft. And since, there were secret investigations by Russians where no details were divulged, the debate has been raging ever since. 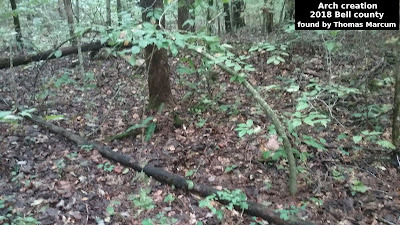 Just what did these investigators find? Check out the video and tell us what you think.